Four-year-old Virisila Morris who was reported missing has been found and reunited with her parents. Police say that Morris was brought to the Nasinu Police Station by her grandmother. Police add that Morris and her grandmother were staying in Makoi and will be interviewed today. 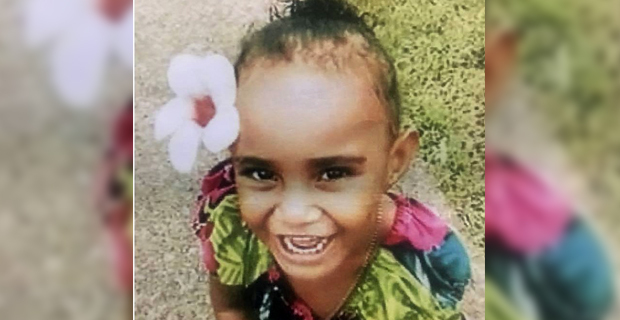 Morris who has been reported missing by her mother after she was last seen leaving their home in Tamavua‑i‑cake with her grandmother on Monday morning without her parent’s knowledge and consent.